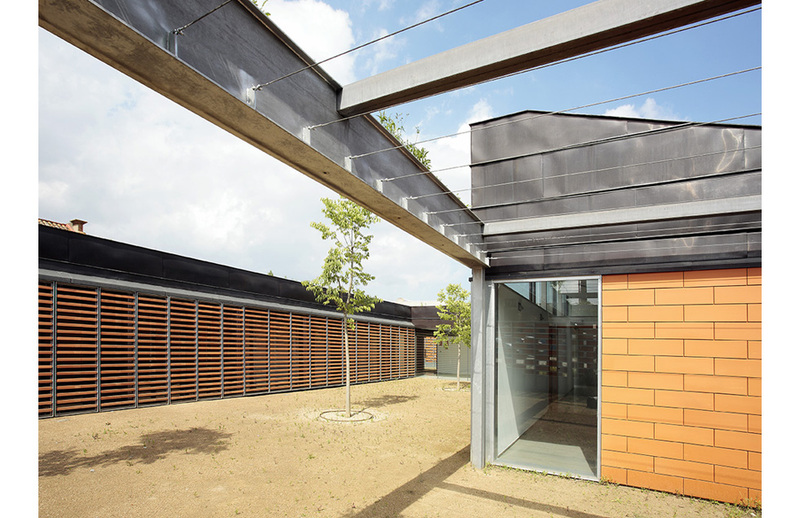 This senior citizens centre is the milestone of a public facilities complex that the city of Cardedeu is developing in an old textile factory. 1 . 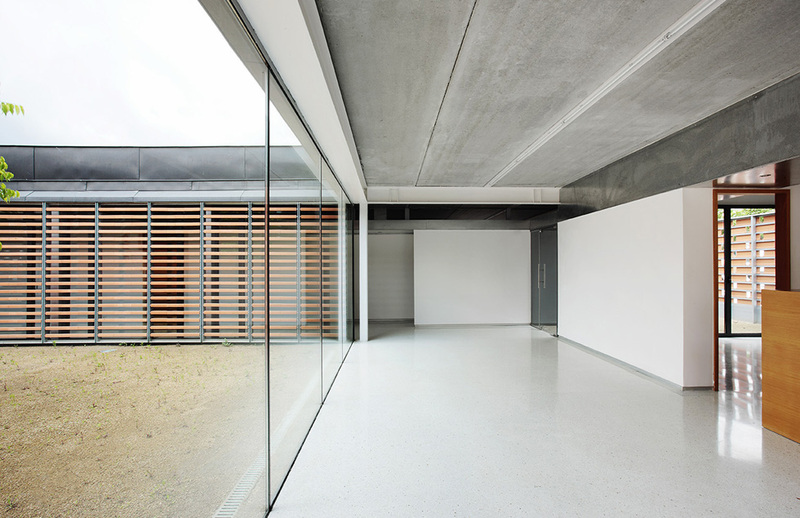 The building is organized through a series of three structural bays and orientation similar to the bays of the textile factory, which also serve to build the corner of the block. With a partial and alternate voiding operation on each of the three bays, we generate a series of specialized patios. Patios have different dimensions, proportions and function and relate to different indoor spaces. One open courtyard on the corner of the block organizes access space . 2. 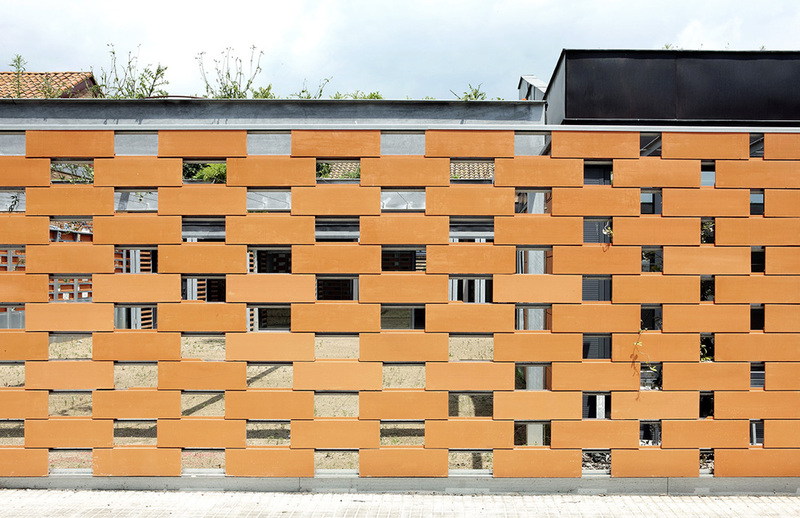 Integration of the elderly centre in the textile factory complex is guaranteed by the choice of coating material : entire vertical building envelope is constructed with a single ceramic tile that varies the size of the vertical joint between pieces to generate a palette of walls ranging from blind to very transparent ventilated wall lattices. 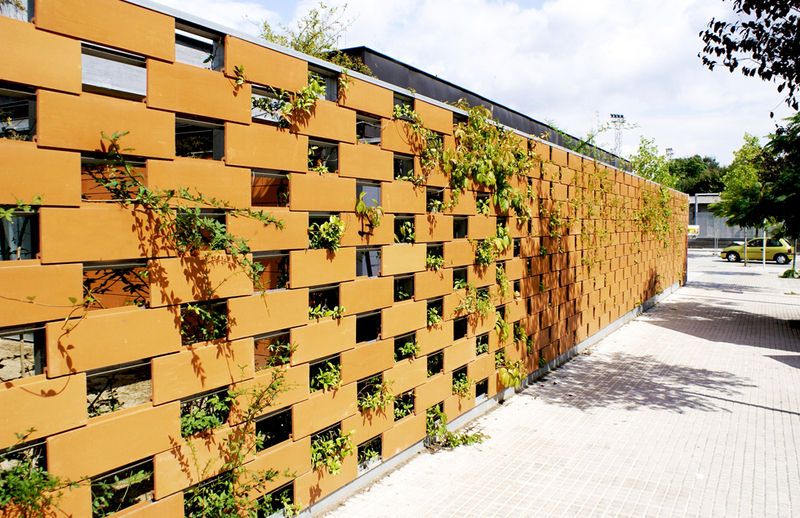 Depending on the depth of the space behind the wall , from the ventilated façades to intimacy patios and larger yards , a measure of vertical joints between pieces is determined. 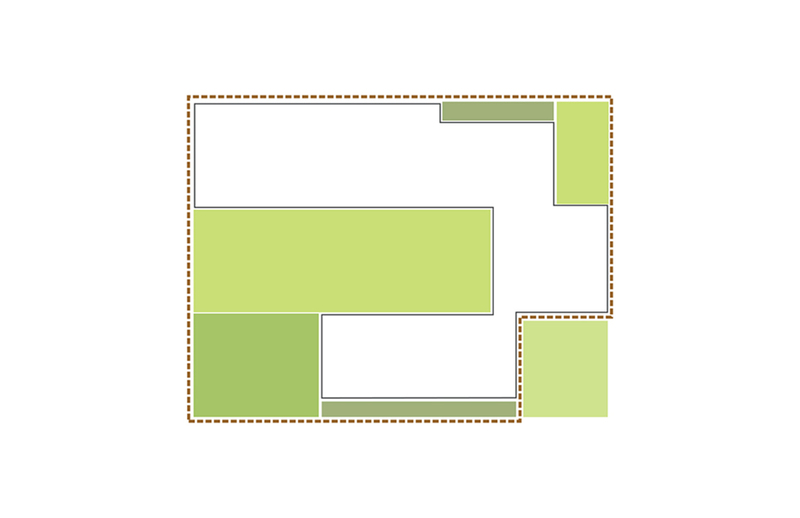 All transitions from one situation to another are provided by a continuous gradient . 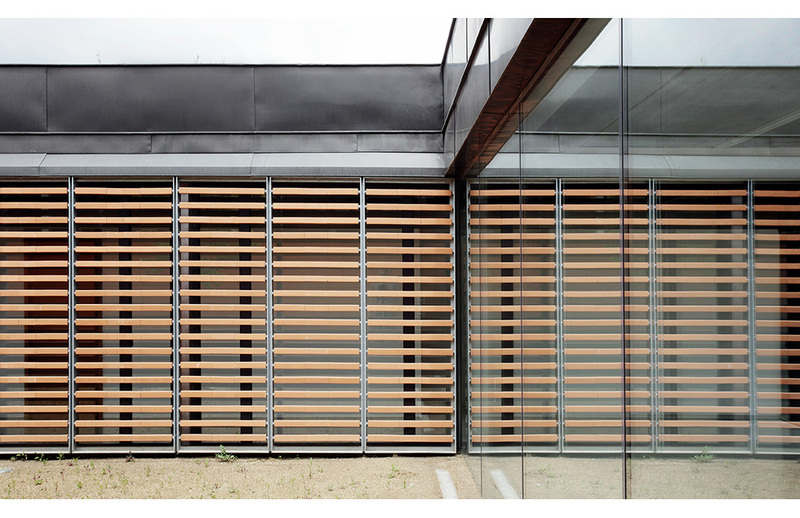 Solar , fixed or opening protections against the glass facades , are also made with ceramic slats . Energy, construction and program sustainability criteria are a key factors in the geometric and material definition of the building and landscape. The plan configuration is driven to minimize energy consumption for lighting and climate conditioning. 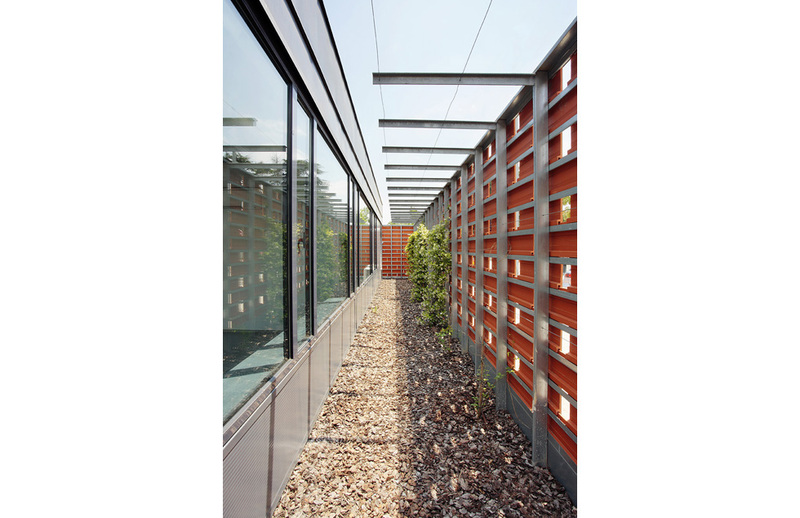 All spaces have a natural ventilation system that uses the patios to cool and humidify the air outside and avoids use of artificial cooling except in extreme heat situations. 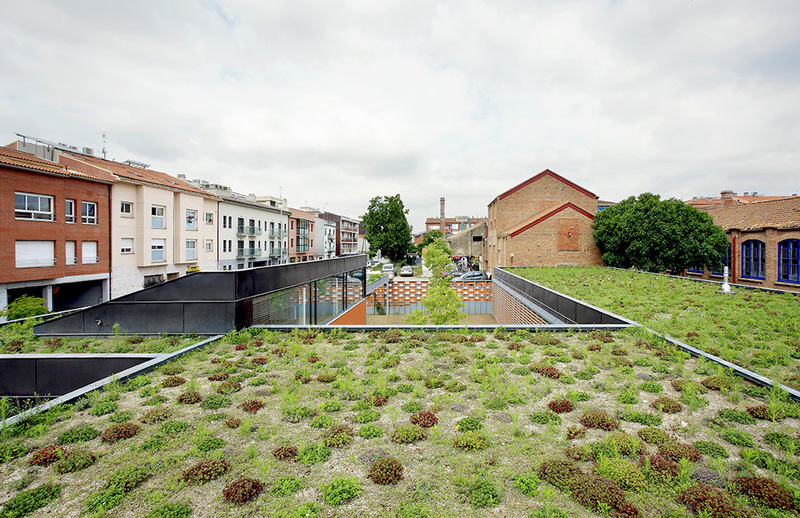 The green roof and ventilated facade also contribute decisively in order to avoid HVAC use in summer . In winter, the building is heated by a low temperature radiant floor throughout powered by integrated solar panels on the roof. This system is dimensioned so that it is estimated that it will be practically unnecessary to resort to measures of artificial support throughout the year . 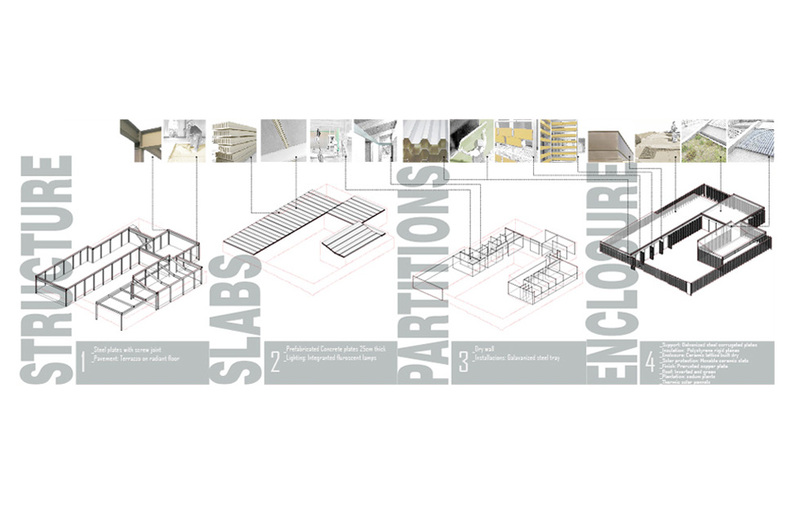 Construction system is based on reversibility and materials recycling criteria. 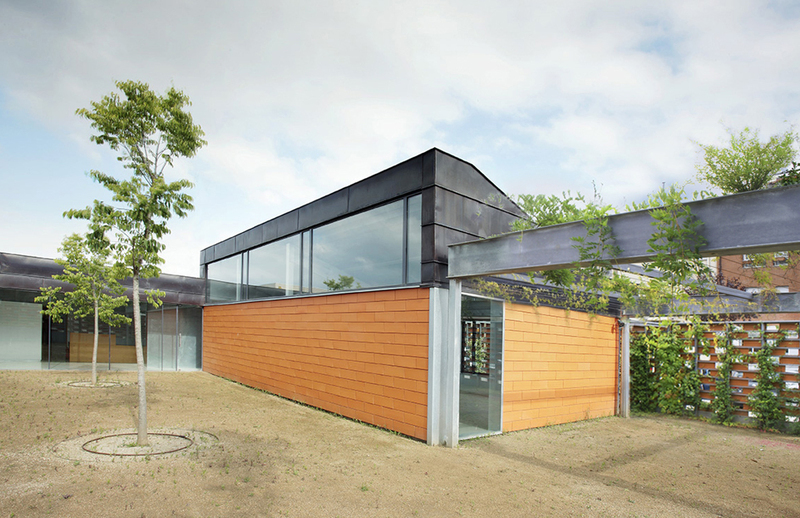 We believe that sustainable construction requires reversible constructive processes and must take into account the limited life of the building. Once the building’s lifetime is over, Its constituent materials must be reused or recycled. The entire construction, except the floor slab has been carried out dry. The hot rolled steel structure is 100%, so it can be easily dismounted. All other elements are also easily removable and reusable. We have also tried to reduce to minimum the constructive elements. We have avoided suspended ceilings and MEP pipes run along the building in a registrable galvanized plate. 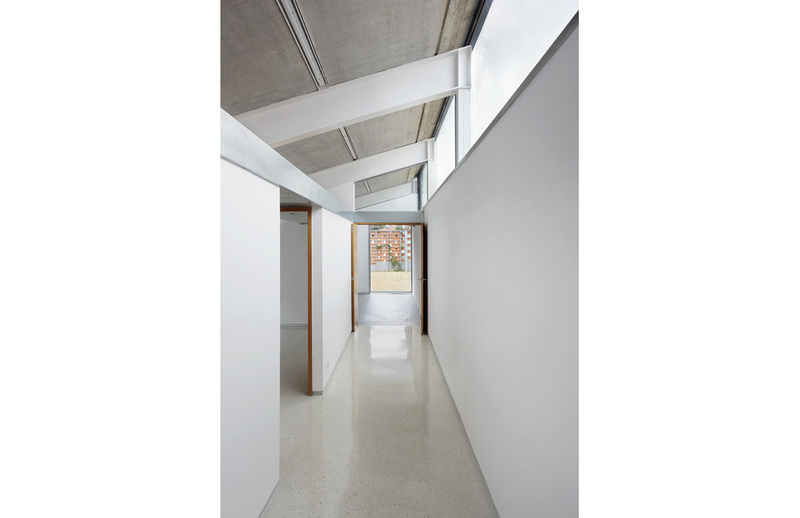 This approach has been weighed to the end without harming the performance of the building. 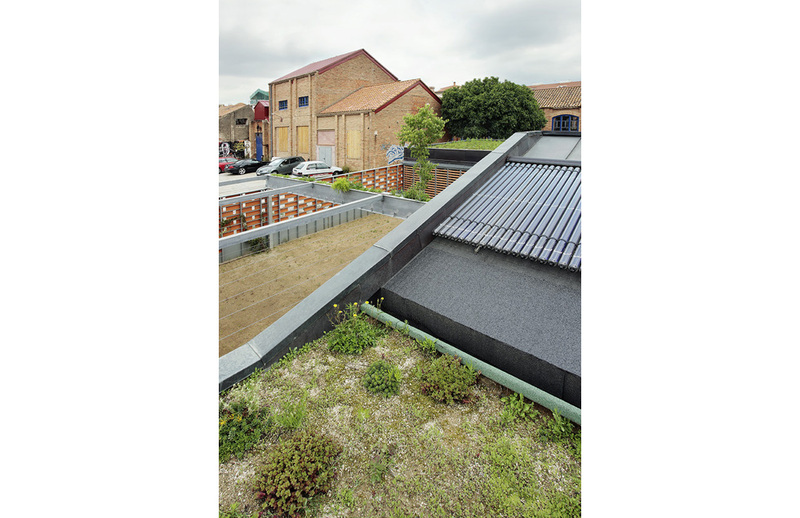 Flexibility and versatility of use and distribution can extend the useful life of the building. 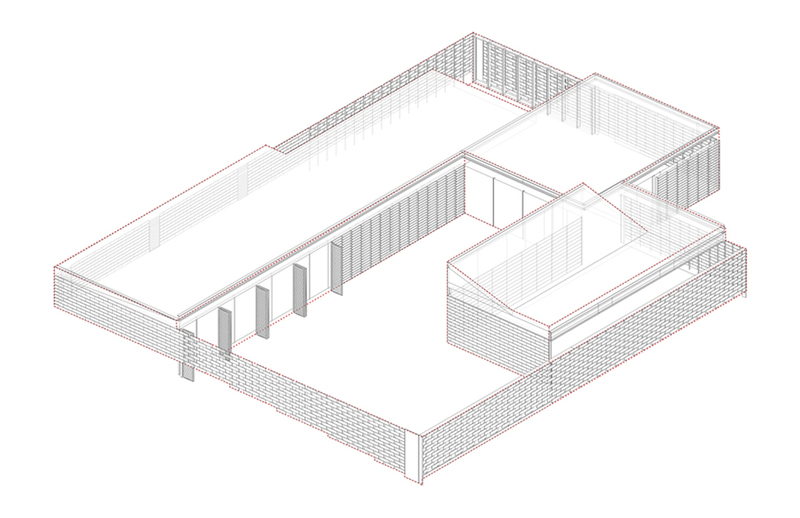 On that purpose, all structural elements have been placed in the perimeter-in order to allow free reconfiguration of the partition walls-and calculated to support a level on top if extension was necessary. All MEP systems have also been designed to allow distribution changes with minor impact on the systems layout.